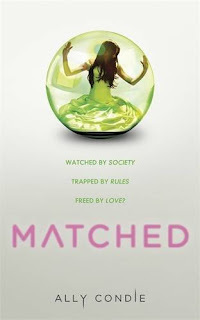 From Goodreads:In the Society, Officials decide. Who you love. Where you work. When you die. I found this one really thought provoking! I kept asking myself what I would do if I were Cassia - if I found myself in this world where all our choices are made for us. I loved Ally Condie's writing style. There is something very beautiful about it and it really held my interest. The story and style is not action packed and intense - but there is something very gripping about it. 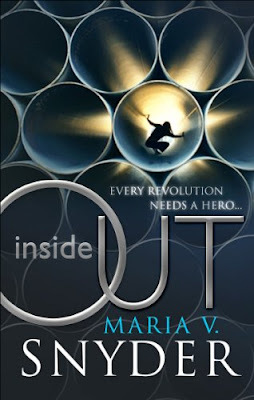 I found I didn't want to stop reading - I wanted to get to know Cassia more and more. What was really interesting for me was how Cassia grew. I loved watching her start to realise that she should make choices - that not everything about the society is as good as she thought it was. The rose tinted glasses definitely come off so to speak! I found the whole premise for this book really intriguing. The society has so much control over every aspect of peoples lives. Everything is monitored and enforced by them. What you eat, what you do, who you are partnered with, how many children you should have. They even control when you die! It is scary when you think about it too much because of how possible it potentially feels. How can you fight something that is that powerful? And even more chilling is the acceptance - that the characters take it all for granted because they don't know any different - they don't realise they should be questioning it! The characterisation was superb. I loved Cassia's family - especially her grandfather. And, of course, Ky and Xander were great. I could honestly understand what Cassia saw in them both. And although I wasn't disappointed with the love triangle - both boys are wonderful - I think I may be rooting for the wrong one! I guess time will tell! 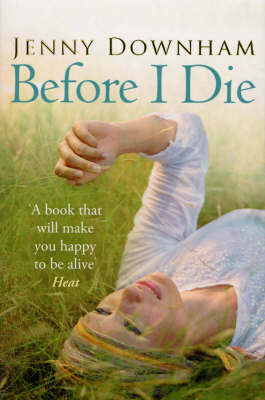 I'm really looking forward to seeing where Ally Condie is taking us. I get the feeling it will be an impressive journey and I can't wait for the next book in the series. 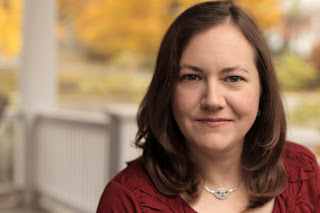 Kate Kaynak is the author of the Ganzfield series. Minder is the first book in the series (my review is here) and Adversary is the second. What was the inspiration behind Minder and the Ganzfield series? Minder started as a thought experiment. 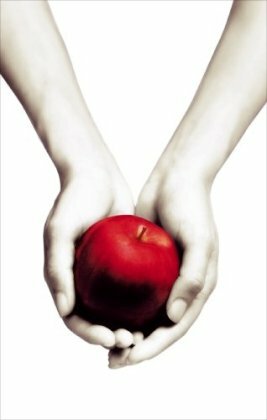 I'd recently completed reading the Sookie Stackhouse books and the Twilight saga, and I realized both series had telepathic characters who could only fall in love if they met someone whose thoughts they COULDN'T read. I started to consider what kind of a person a telepath COULD love…as well as what kind of a person wouldn't mind being in a relationship with someone who knew their every thought. I love all the different psychic abilities. What kind of research did you do for the novel? Most of the special abilities found in the Ganzfield world are found in parapsychology, which is a fringe area of psychological research. I used a few books like Reading the Enemy's Mind to learn more about the U.S. government's former psychic spy program: Project Star Gate (yes, it really existed). I also looked into historical claims of special abilities such as those of William Underwood; he was the first person to claim to have pyrokinesis, the ability to control fire. I've got a background in psychology, so I drew on that to work out how to enhance and control special abilities in the brain. The settings are real places in New Jersey and New Hampshire. Oh, and I named most of the bad guys after ex-boyfriends. I adored Trevor! Do you have a favourite character from the series – or one you find it easier to write for? I love writing from Maddie's point-of-view, and I have a major book-crush on Trevor that my husband only tolerates because Trevor's partially based on him. 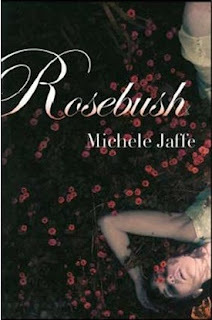 The romance was a delight to write, since the emotions of a sixteen-year-old in love for the first time were so intense. Beyond that, I simply adore Drew; he cracks me up. If the Ganzfield books were made into a TV series or Movie who would be your ideal cast? I've only cast two people in my head. How many books are planned for the series? Can you give us any hints on what’s in store for the characters? I've been a voracious reader since I was six years old, and I started writing short pieces in high school and at Yale. The Ganzfield books aren't the first novels I've written--but they're the first GOOD novels I've written. What is a typical writing day like for you? Do you have any ‘must-haves’ before you can start? I have three kids under age six at home, so I do most of my writing after they’ve gone to sleep at night. I also have a playlist of songs that put me into the Ganzfield world, including Gary Jules' version of Mad World, Scissor Sisters' Fire with Fire, Muse's MK Ultra, Velvet Chain's Strong, Glenridge's Angels, and Regina Spektor's Fidelity. Are there any YA books you would recommend? 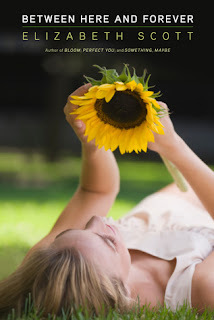 Perhaps something you have read recently that completely blew you away. There's SO much great stuff out there these days, including some amazing series! 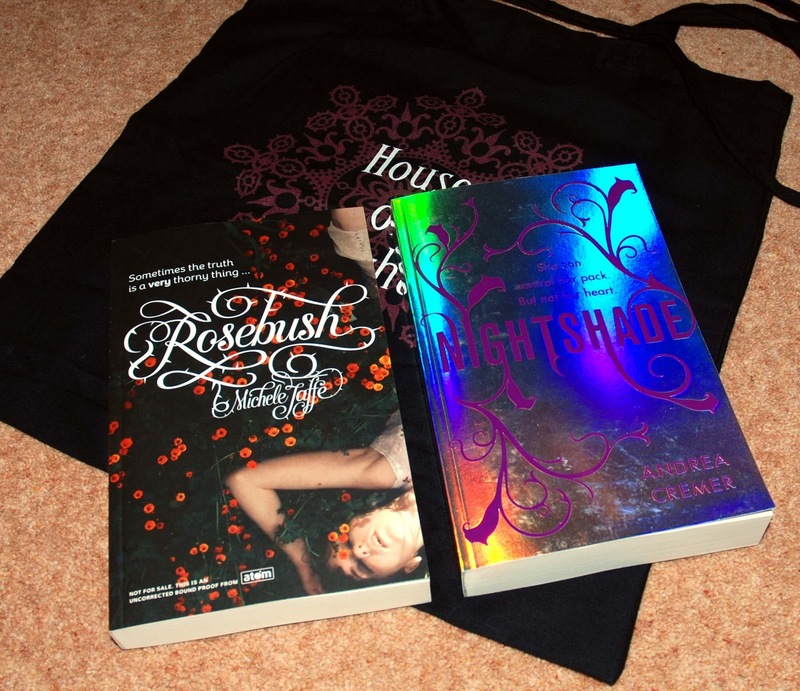 I'm currently catching up with Rachel Caine's Morganville Vampires--start with Glass Houses. 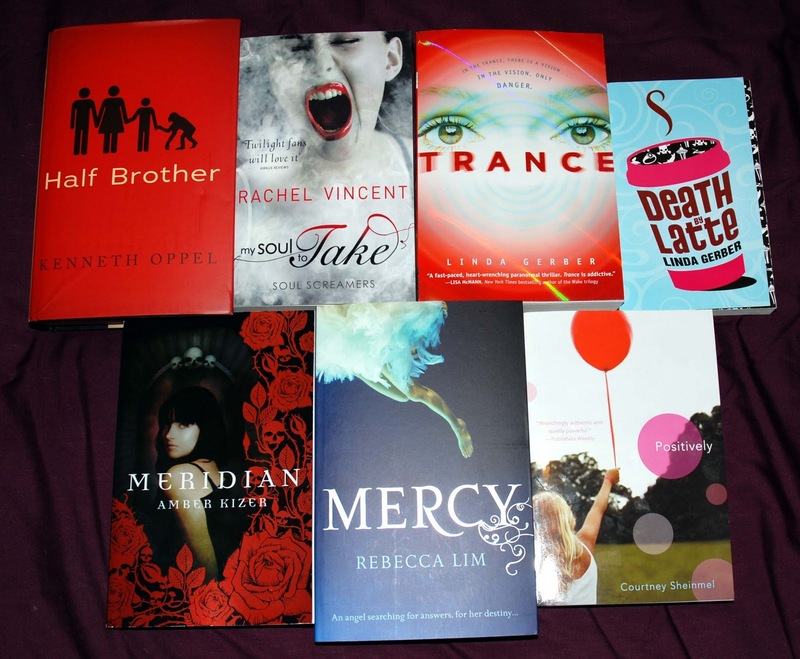 In the past year...Scott Westerfield's Uglies, Suzanne Collins' Hunger Games, Maggie Stiefvater's Shiver, Garcia & Stohl's Beautiful Creatures, Kristen Cashore's Graceling, Holly Black's White Cat, Jessica's Guide to Dating on the Dark Side by Beth Fantaskey, and Paranormalcy by Kiersten White. Keep an eye out for Jennifer L. Armentrout's Half-Blood; I loved the manuscript enough to pitch it at Spencer Hill--it comes out in September of 2011. Those are the stand-outs. Thanks Kate! I love that you use your ex-boyfriends names as the villains! Classic! And I love your pick for Trevor - it's just as I pictured him! The premise for this one really appealed to me – I love anything to do with psychic abilities so this fits the bill perfectly. All of the characters in this are wonderful. Maddie really grew on me – she has great inner strength as well as a strong moral compass. I absolutely adored Trevor – he is really sweet and caring and I really enjoyed the romance that develops between the two of them. It does get a bit mushy in places – but it's the kind that left a big goofy smile on my face so I’m not complaining! I also really liked the relationship between Maddie and Dr Williamson – there is obvious affection there and I really enjoyed their interactions. I also liked Seth – he comes off as a bit annoying at times but I’m really interested to see how he features in the future. The rest of the ‘gang’ are fun – and you get to know them all pretty well and there is definitely room for some interesting stories for them all. I’m really looking forward to reading the next book in the series. Not only am wanting more Maddie and Trevor but I have my suspicions on where Maddie gets her gifts so I am really excited to read more to see if I am correct! 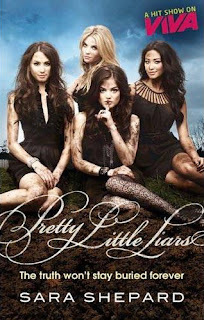 A great start to what I believe will be a really addictive series! Published 20 January. This one looks AWESOME and I've been hearing great things. Can't wait to get stuck in! This one hits the shelves 3 March - VERY excited about this one. It's a departure from the supernatural titles that are on Atom's list so far and it sounds as if it will be amazing! 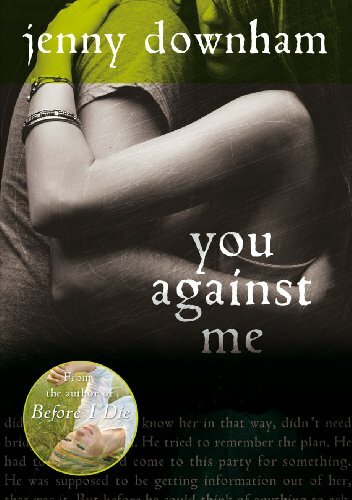 How much do I love the cover for this one? And it sounds sooo good! It's published January. This is published 12 April - and the cover is lovely and shiny - VERY pretty. 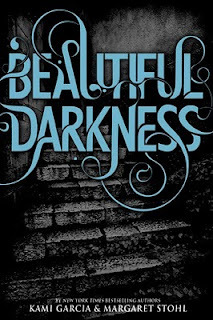 I believe it's set in the same world as the author's Darkest Powers series so it's definitely one to watch out for! 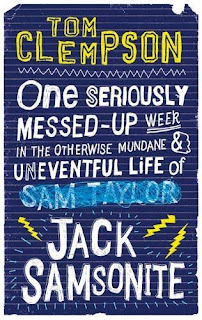 One Seriously Mess Up Week in the Otherwise Mundane and Uneventful Life of Jack Samsonite by Tom Clempson. This one sounds like great fun! 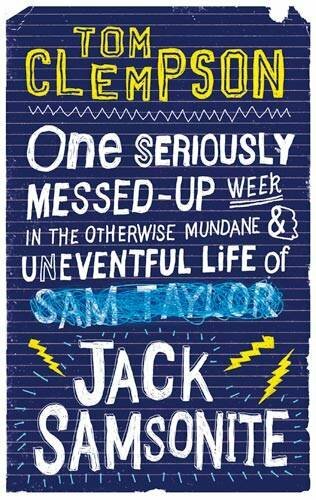 Pitched as Louise Rennison for boys - sounds awesome if you ask me. Published in June. The first in a trilogy and published June - with the second to follow in August and the third in October. Sounds like one for fans of The Hunger Games or Gone. This is also to be a Movie and the book is more of a collaboration than a novelisation - the film trailer looks AMAZING so I am now doubly excited! This is published February. I ADORED Lois Duncan when I was a teen and am super excited they are re-releasing her books. First up are I Know What You Did Last Summer, Don't Look Behind You and Killing Mr Griffin. Apparently they have all been updated slightly by the author so they are fresh for a new generation to enjoy! They are published March, April and May. Hopefully my favourite, The Eyes of Karen Conner (aka The Third Eye) will be getting a re-release soon too - I love that book! 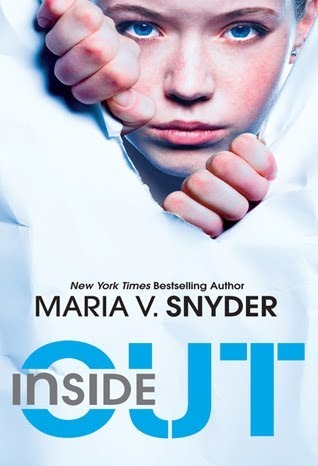 I'm really looking forward to reading Inside Out by Maria V. Snyder when it's released in the UK in January and I absolutely LOVE the UK cover - Mira really out did themselves I think - I really love the font for the title and the image is very eyecatching. So, I'm definitely voting for the UK cover this week - but I do like the US one and the way she's ripping through the cover. This was such a great week! 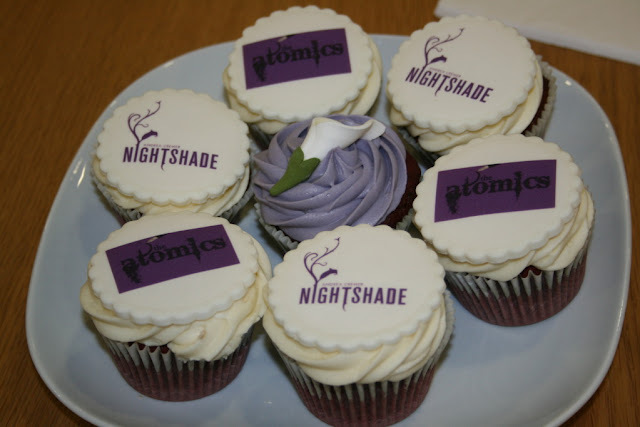 I went to London on Tuesday to Atom for a blogger party - It was a great day (I also couldn't resist having a *quick* look in Waterstone's in Piccadilly) and I got some great books - and there were cupcakes! I also picked up copies of the New Moon, Eclipse and Breaking Dawn in their amazing white covers. There are absolutely gorgeous! And I picked up a copy of Prophecy of the Sisters by Michelle Zink which I have been meaning to read for ages. I LOVE this cover! 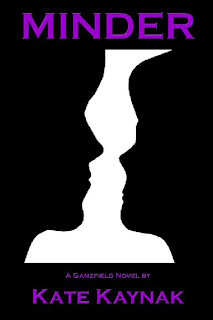 I love the design on the corners, and the way the image of the girl continues to the back. 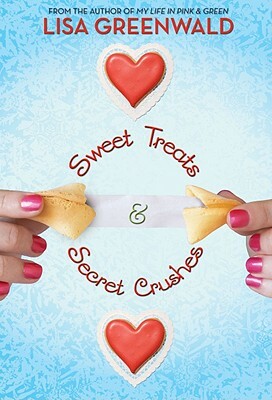 It's officially my favourite Meg Cabot cover and I can't wait to get my hands on it! Just check out the synopsis - doesn't it sound AMAZING? As many of you know I am a big fan of this series - they are great fun and this one is no exception. 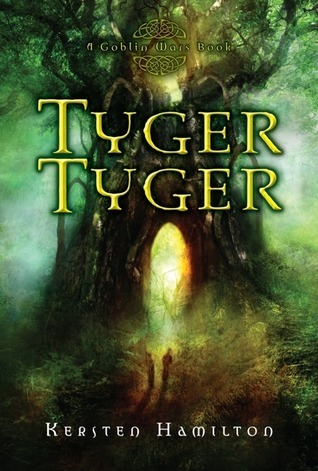 Taking the same format as the previous books in the series, the narration is split between the two main characters. This time Quinn is the Drake brother of choice - but it's really Hunter's story. She is a student at the Helios-Ras Academy and comes from a family of vampire hunters. I liked her straight away. She comes across as dependant, strong and kind. Quinn is a bit of a 'ladies man' but immensely likeable - although I think Nicholas is still my favourite brother! I'm glad we get to catch up with him and Lucy, as well as Solange, Kieran, Logan and Isabeau. I also really liked Connor (Quinn's Twin) and am hoping to see more of him in future installments. The story in this one moved away from the Drake family and is instead centered around the Helios-Ra Academy. 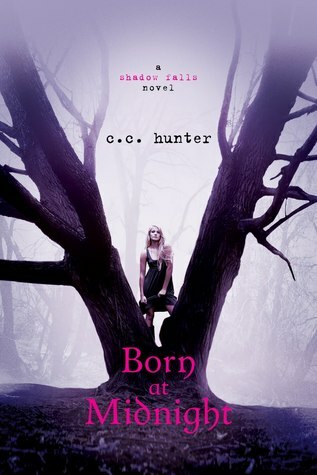 There is a bit of a mystery to solve and Hunter finds herself in the middle of it. I really enjoyed it, although I thought Hunter was a bit too trusting at times. But it is all great fun and I raced through the book to find out what happens. My only complaint is I would have liked more resolution to Hunter's more personal storyline - but perhaps this will be explored at a later date in future novels. 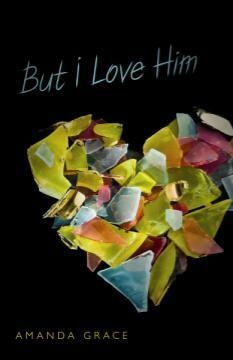 From Goodreads: In a world where angels are beyond redemption, Alex thinks he's found one that might deserve mercy. Alex is a ruthless assassin - of angels. Forget everything you've heard about them before. Angels are not benign celestial creatures, but fierce stalkers whose irresistible force allows them to feed off humans, draining them of their vitality until there is barely anything left. 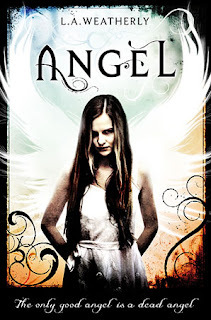 As far as Alex is concerned, the only good angel is a dead angel...until he meets Willow. She may look like a normal teenager but Willow is no ordinary girl. 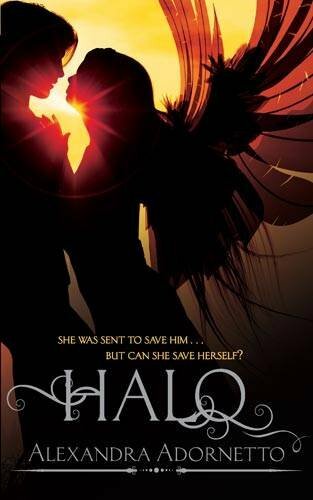 Half-angel, half-human, Willow may hold the key to defeating the evil angels. But as the hunter and the hunted embark on an epic and dangerous journey and Willow learns the dark and terrifying secrets of her past, Alex finds himself drawn to Willow...with devastating consequences. 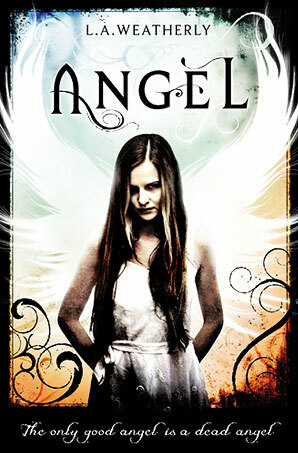 Eoin Colfer reinvented the fairy, Stephenie Meyer reinvented the vampire, L.A. Weatherly reinvents the angel! 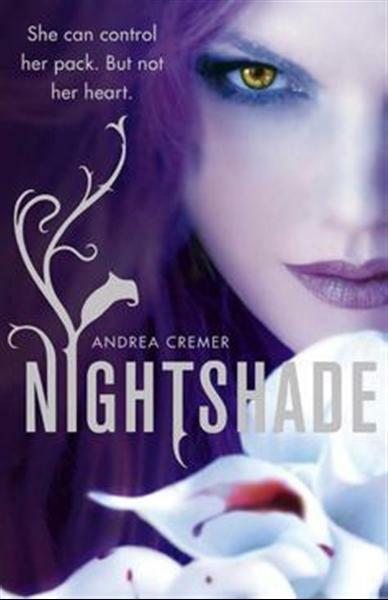 This is a heart-pounding, knuckle-whitening, paranormal romance action-adventure for fans of the "Twilight" series. This is the first in a devastating new trilogy. To say I loved this book would be a massive understatement. It completely and utterly blew me away! I just loved everything about it, and yes, Alex is definitely a major plus! I really liked how the story alternates between Willow and Alex. I've said in the past I really enjoy this style of narration and it works really well here. It's easy to distinguish between the two voices - helped by the authors switch from first person narratiive for Willow to a third person narration for Alex's parts of the story. I loved both characters from the get-go. Alex has that 'Dean Winchester' thing going for him - or at least he did for me. I spent a great portion of this novel itching to watch my Supernatural DVD's- but the book was too good to put down so I easily resisted! He's just... I can't quite put my finger on it but I just adored him. And Willow was a character that had me rooting for her right from the start. Really likeable, caring and strong. I could also picture the two of them together - so it was very easy for me to buy into their relationship as it progresses. Weatherly has a very accessible writing style and a skill for writing both high action scenes and slower, more character driven ones. I was suprised by how much story is packed in to this book. There's loads of action, an epic love story and the mythology is just brilliant! The whole thing is such an adrenaline rush! So much happens that I just didn't see coming - I spent large portions of the book going 'Whoa! 'or 'OMG!' and then the rest sighing (Te Amos Alex!) because the romance is soooo good! I apologise for the rather fan-girl review but I really can't recommend this one highly enough! I can't wait for the next in the series - role on June! 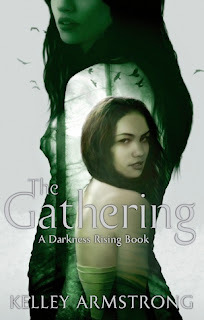 From Goodreads: Kylie Galen has had a lot of crap tossed in her lap. Her parents are getting a divorce. Her boyfriend broke up with her because she wouldn’t put out. Her grandmother died and now Kylie’s acquired a stalker. Unfortunately, she’s the only one who seems to be able to see the stalker. And that gets her sent to a psychologist’s sofa. From Goodreads: Ethan Wate used to think of Gatlin, the small Southern town he had always called home, as a place where nothing ever changed. Then he met mysterious newcomer Lena Duchannes, who revealed a secret world that had been hidden in plain sight all along. A Gatlin that harbored ancient secrets beneath its moss-covered oaks and cracked sidewalks. A Gatlin where a curse has marked Lena's family of powerful supernaturals for generations. A Gatlin where impossible, magical, life-altering events happen. I really liked Ethan in Beautiful Creatures but I absolutely adored him in this one. The whole book was really his story and his journey to make sense of the supernatural world he has suddenly found himself in. He really steps up to the plate and I loved his loyalty and courage. For me, his is voice is the anchor to this series, and through him we get to watch all the events unfold and interact with all the amazing characters. Amma and Link are back and on fine form. We also get more Marian, and the introduction of a new character Liv. I really like her and thought she was a great addition. Unfortunately, we get less Lena but because this is more Ethan's story I didn't find it too much of an issue. I did miss her presence and the connection they had in Beautiful Creatures but that added to the pull of the story - I wanted them to get it back. 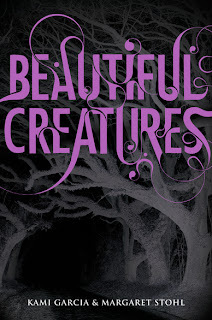 This is much more of an adventure than Beautiful Creatures. The pacing and plotting is brilliant - I found myself really surprised with a number of revelations and, unlike Beautiful Creatures, I did not lose track of anything that was going on. What I really enjoyed was that as the reader I knew what had happened the night of Lena's Birthday whereas Ethan did not. I couldn't wait for him to find out - but it also meant I understood Lena's actions even when he didn't. I liked that Lena had trouble dealing with her choice - it make the story much more honest and gives it an emotional reality that paranormal stories need in order to make them believable. I'm really interested to see what direction the authors take this now. Considering the ending of this one I assume there will be another in the series - at least I hope there will be. I am really invested in these character and love the world - I'm really looking forward to more. A great continuation of what I hope will be many books in the series. 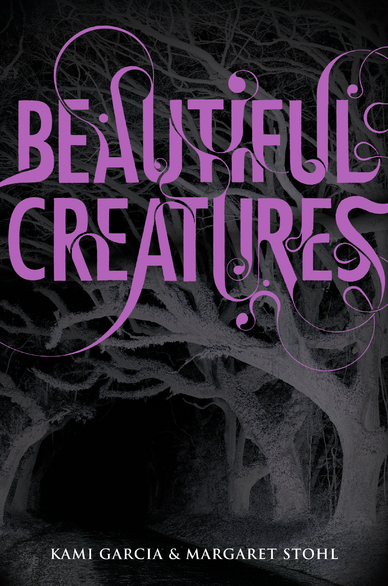 From Goodreads: Lena Duchannes is unlike anyone the small Southern town of Gatlin has ever seen, and she’s struggling to conceal her power and a curse that has haunted her family for generations. But even within the overgrown gardens, murky swamps, and crumbling graveyards of the forgotten South, a secret cannot stay hidden forever. I really liked this one. It's one of those stories that pulls you in with a slow building intensity that works superbly. I loved that it was narrated by Ethan - not only did I really like him but having it told from his point of view insured the book caught my interest. Other authors may have gone with the more obvious choice of having Lena narrate the story. I really enjoyed all the mythology and having it set in the South. It gave it an authentic feel and made the book incredibly atmospheric - with a kind of claustrophobic sense of life in a small town with everyone knowing everyone else's business. I don't want to say too much about the story because I went into it not really knowing much about it and I really enjoyed the mystery aspect - having to work it out alongside the characters. My favourite aspect of the book is Ethan and Lena's budding relationship. It is one of those intense attractions we've come to expect from this type of paranormal story but it also feels as if a gradual and genuine connection develops alongside this intensity. 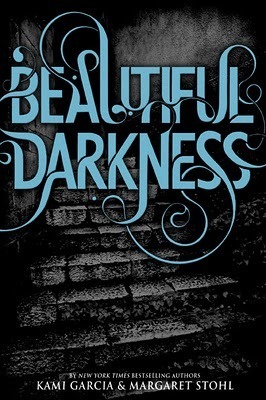 I really liked both characters and am looking forward to seeing how their story progresses in Beautiful Darkness. A minor complaint would be that I occasionally lost track of what was going on. There were a couple of scenes that came across somewhat fragmented and I had trouble working out what was happening - even after a reread. This didn't affect my enjoyment though - in some ways in added a bit more mystery to the proceedings - but it did interrupt the flow a little bit. 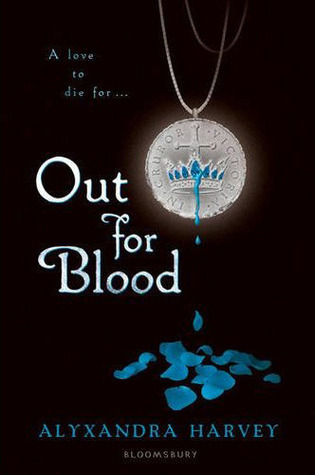 I adored the ending and it sets the next book up as a must read for me. 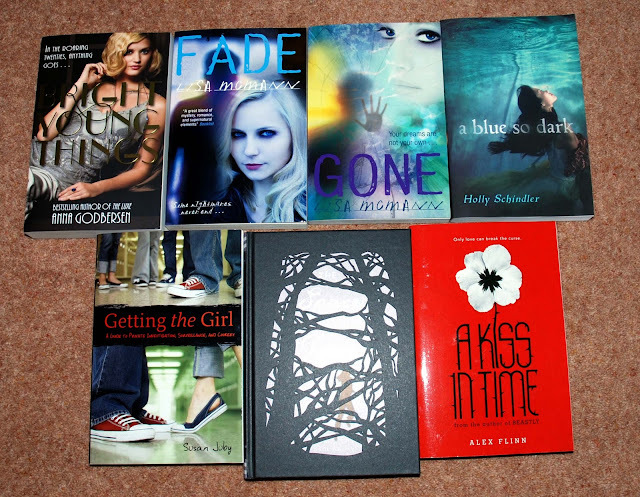 I am looking forward to immersing myself back into this world and spending time with these characters. Can't wait!